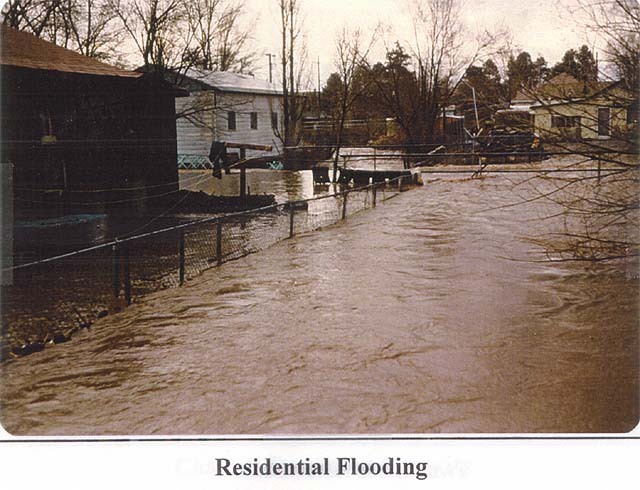 In the early days of Flagstaff, Arizona, there were several floods which inundated the town. In fact, floods were recorded along the Rio in 1888, 1896, 1903, 1916, 1920, 1923, 1937, 1938, 1950, 1963, 1966, 1973, 1979, 1983, 1988, 1990, 1993, and 1995. The last major floods occurred in 1938 (in terms of discharge) and in 1993 (in terms of volume). As the town grew and more houses were built, the river was diverted to a new course. 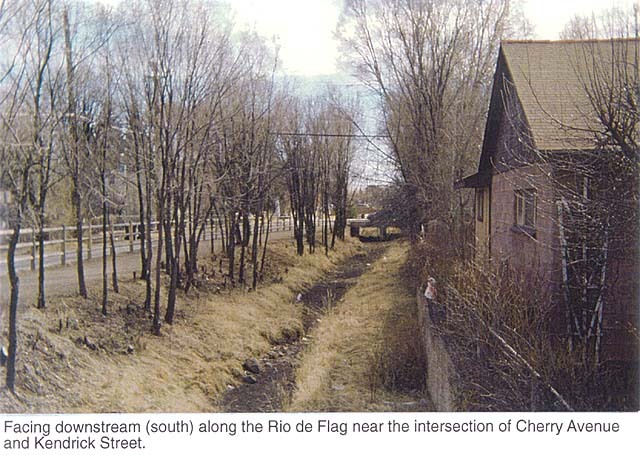 North of Route 66, the channel was moved from its natural southeast path at the corner of Cherry Ave and Kendrick St instead to take a southward path along the west side of Kendrick St. The new channel now flows by the Flagstaff Public Library and Flagstaff City Hall, but its capacity to carry water volume is lowest at this location. On the south side of Route 66, the channel flows through Southside and there is always a risk of flooding during periods of high runoff. The Army Corps of Engineers is planning to install a large culvert underground to carry the flow south of the railroad tracks east to reunite the Rio de Flag with its original channel in the vicinty of Baskin Robbins. Thus, Southside will be protected from the risk of future floods. Coincidentally, this change in flood risk has the potential to change the character of the Southside neighborhood. 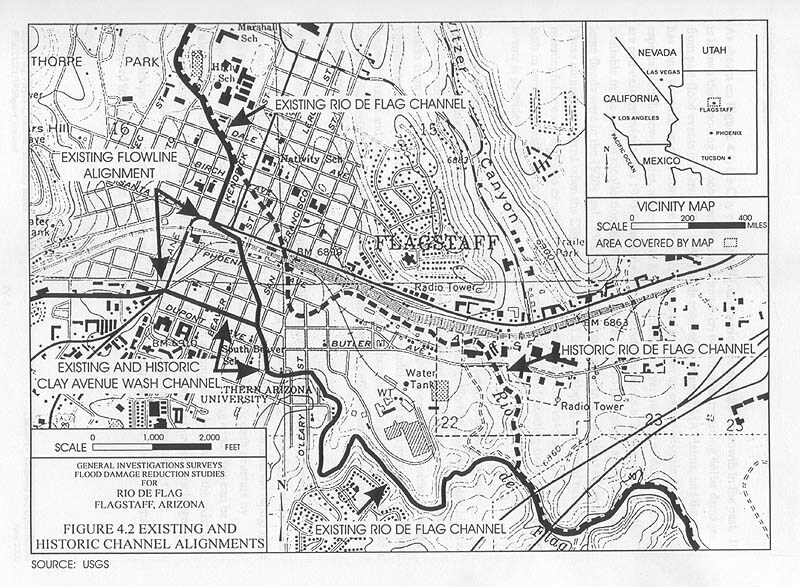 Rio de Flag, Flagstaff, Arizona. Draft Feasibility Report and Environmental Impact Statement. US Army Corps of Engineers. Los Angeles District. June 2000. Copy in the Flagstaff Public Library at the Reference Desk.